Before being a WAF and Application Security Architect EMEA-CALA, he began his career in a Web agency as Security Administrator and continued in security domain working for distributors. He worked from networking solutions up to security solutions like Firewalls, SSL-VPN, and Web Application Firewalls. Combining his experience in WAF and his knowledge about Web allowed him to become an architect for EMEA-CALA theatre. 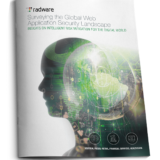 He writes about application risks, protections and implementations of it. Most of the people were addicted to play online card game then from our website you will play checkers game without any pay and app installation without any pay and download.